Working closely with MediaCom, the Mill+ team led by Noel Drew and Adam Parry created this incredible immersive experience for Fanta. The challenge given to the Mill+ team was to help create a truly memorable and scary immersive experience for a fright-loving teen audience. The team designed a fully interactive theatrical show engineered to be transported to multiple locations across the UK. Actors set up the narrative for the experience, guiding visitors around a carefully designed and curated branded environment. The experience also gave the teen audience the chance to create shareable photos to impress their social media followers before heading into the darkness of the haunted Fanta vending machine. The experience was composed of a fear-inducing audio-visual show combined with mechanical scares, where every sensation was reinforced by something physical, giving everyone who was brave enough to take part the fright of their lives. Over 8,500 people visited the Twisted Carnival across the four locations. The experience was the key component of a wider integrated campaign which featured a Snapchat portal, integrating the physical, virtual, as well as influencer and media owner activity. 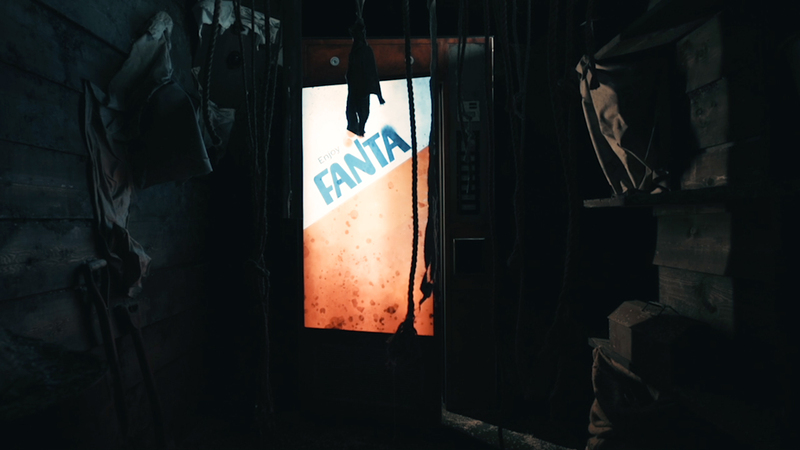 The campaign achieved 10 million views overall, Fanta’s best year ever.